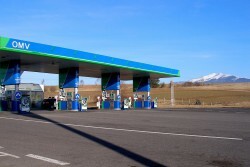 Last year, OMV has announced to sell 63 petrol stations in Croatia and 28 stations in Bosnia. INA confirmed that it has made an offer to OMV, the Croatian business magazine “Lider” reports. The Croatian subsidiary of the Hungarian MOL Group intends to strengthen its position in Central Europe. The sale price may reach up to € 150m.